The Minister for Agriculture and Food Security Peter Walsh welcomed the establishment of the new alumni group in charge of providing mentoring opportunities and networking for the leaders in the dairy industry. The Australian Dairy Leadership Alumni (ADLA) consists of graduates of executive leadership programs offered by the Australian Rural Leadership Program, Nuffield Scholarships, Rabobank and Horizon2020. According to the media release issued by the Premier of Victoria, the Minister spoke at the inaugural ADLA Summit in Melbourne yesterday and stressed the need of providing industry leaders with the opportunity to share their experience and knowledge. “The ADLA provides the opportunity for some of the dairy industry’s brightest minds to share information and access networking and mentoring programs,” Mr Walsh said. The ADLA is an initiative of the Gardiner Foundation Dairy Australia and the Department of Environment and Primary Industries. 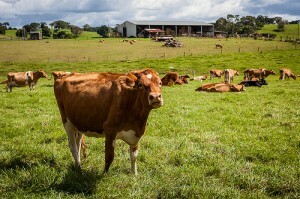 The Department of Primary Industries (DEPI) and Dairy Australia conducted a Dairy Mega Evaluation which revealed that milk production more than doubled over the last 30 years to 2010. The Evaluation further revealed that this incredible increase was achieved with the same number of cows and despite a 35% reduction in effective grazing area. Victoria’s dairy industry makes up 86% of Australia’s total dairy exports, exporting about $1.85 billion worth of dairy products in 2012/13. “Research, development and extension contributed to almost half the increase in industry production. The Coalition Government is supporting farmers to grow production further with an additional $125 million for targeted research, development and extension. Already about $29 million of this has been directed at the dairy industry,” Mr Walsh said.